The task of identity development, which involves distinguishing who one is, and defining and articulating this to others, is a challenging developmental task for most youth. This is made even more challenging when one considers that there are multiple domains of identity development. In the current study, Australia adolescents (N = 336; aged 12–15 years, 46% male) reported their identity status commitment, exploration and reconsideration across two different domains (education and friendship). Cluster analysis was used to evaluate patterns of identity formation within and across domains, and the internalizing symptoms (low self-worth, emotion dysregulation, depressive and anxiety symptoms) and identity disturbance of clusters of youth with different identity status patterns were compared. Results revealed five clusters of committed explorers, committed non-explorers, committed reconsiders, uninvolved, and friend identifiers. Cluster comparisons revealed that, across self-worth, emotion dysregulation and identity disturbance, adolescents in the friend identifiers cluster, who reported high commitment to friendship identity and lower commitment to educational identity relative to their peers, fared worse than adolescents reporting higher than average commitment across both domains, and those reporting high reconsideration in both domains. 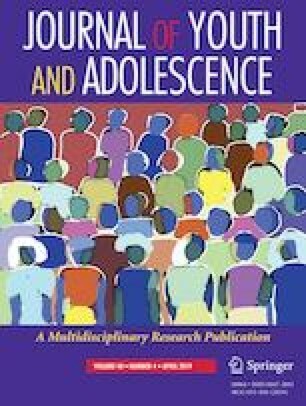 These findings suggest that the benefit of identity commitment for emotional adjustment may depend somewhat on the domain under investigation, and that evaluating the junction and divergence of different identity domains might identify additional adolescents who are experiencing symptoms of maladjustment. S.M.C. conceived of the study, participated in its design and coordination, was involved in the acquisition of data, performed statistical analysis, interpreted results, and drafted the manuscript; M.Z.G. conceived of the study, participated in its design and coordination, assisted with analysis and interpretation of results, and helped to draft the manuscript. A.D. made substantial contributions to the conception of the study and interpretation of results, and was involved in drafting and revising the manuscript. All authors read and approved the final manuscript. This work was partially supported by an Australian Research Council Discover Grant (DP130101868) to the second author, as well as by an Australian Government Research Training Program (RTP) Scholarship to the first author.